Administer effective working of organization, design and monitor work for employees and ensure quality services to end users. Train and guide team to deliver effective services. 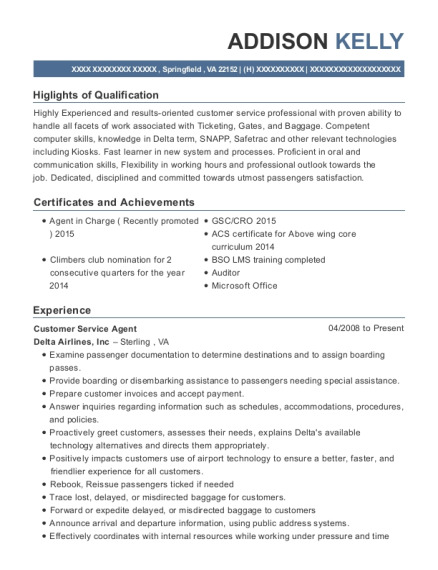 Analyze requirements and assist employees to incorporate new systems. Support the employees of the organization by eliminating barriers to success. Provide a good working environment. Resolve any personal disagreements among the employees in order to maintain a positive working experience for everyone. Represent the employees upward in the organization, so that outstanding employees can be recognized for their talents and potential. Focus the work of the organization on what's relevant and productive. Motivate employees to do focus work. Prevent work on things which aren't relevant or aren't productive. Assist with Performance Evaluations Monitor time sheets. Identify, troubleshoot and resolve problems encountered by District-wide users of various servers, the mainframe, desktop systems. Troubleshoot and solve local-area network problems; provide technical support to end-users regarding computer hardware and software; install, test, certify and troubleshoot networking cabling systems. Install and configured network equipment; provide technical expertise to end-users regarding optimal set-up for software, hardware and network usage. Install, configure, monitor and troubleshoot a wide range of network and data communications software and hardware; train users in various software applications and network-related procedures related work as required. 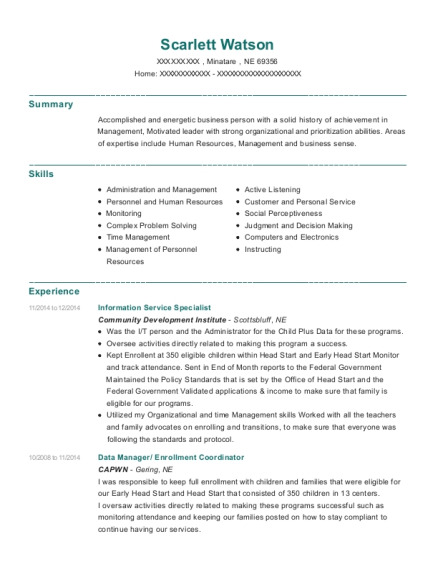 This is a resume for a Network Liaison Specialist I in Decatur, Georgia with experience working for such companies as Dekalb County Board of Education and DCSD. 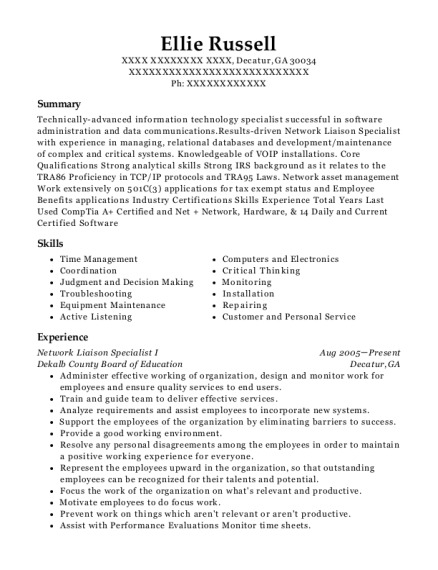 The grade for this resume is 0 and is one of hundreds of Network Liaison Specialist I resumes available on our site for free. 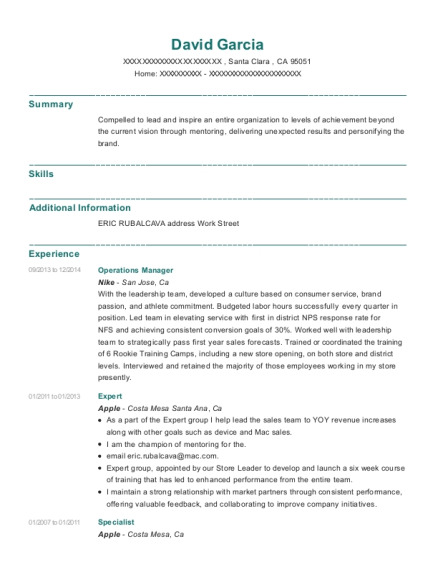 Use these resumes as templates to get help creating the best Network Liaison Specialist I resume.